While I was planning my wedding, it's like I had this constant "to-do" list whirling around in my mind all day. Flowers, catering, decor, selecting songs, have all of my bridesmaid picked up their dresses? It can be overwhelming, in fact I thought as long as I was checking off my list, the primary details were taken care of, everything else could go on the back burner. And who can blame me for thinking that? I work full-time while attempting to plan one of the most important days of my life EVER. And although vendors always assured me, "I'm not judging you," I could feel that my less-than sense of urgency to get all the small things in line was starting to become annoying. Finally, in a last ditch effort to convince me, my wedding planner said, "These details do matter!" I admit I was a laid-back bride, nothing upset me too much, I wasn't micro-managing anything other than what I ate and my fiance. Naturally, right? I know I'm not the only one. Fast forward past my absolutely amazing day, and it wasn't until after my wedding that I realized how important some of the small details actually were, and the impact that those back burner items had on our wedding night. When I look back on the details of our wedding, one thing I will always remember was how many people were on the dance floor at our reception. Everyone was dancing. Including both sides of our families, all ages, to songs like "Turn Down for What?" Obvs the outstanding DJ from Snyder Entertainment was a huge part of that, but one of those small details played a major role in getting guests out to dance. Can you guess it? It was the lighting package from Snyder Entertainment that had even more to do with it than I would of ever imagined; keep reading and you'll understand why. Lighting is such an important detail for weddings and so often, like it did with mine, this feature gets put on the back burner. Including up lighting at my wedding had so many benefits: it instantly created the perfect vibe + tone for the night, lighting helped transform the empty venue into an intimate space and gave the room a completely different style. Little did I know during planning, but lighting can literally make or break your reception. Sure having the open bar for my guests did help to loosen them up, but so did dimming the lights when it was time to hit the dance floor. My husband is not the first guy on the dance floor, but after 2 beers + dimmed lighting = him stepping out of his comfort zone and trying his hardest to replicate Drakes dance moves in the "Hotline Bling" music video. I'll testify that the darker environment at our reception gave even my most dance-conscious guests the freedom to be themselves, and feel like they could bring out their inner dancing queen. Livin' up to the ever popular quote: dance like nobody's watching. 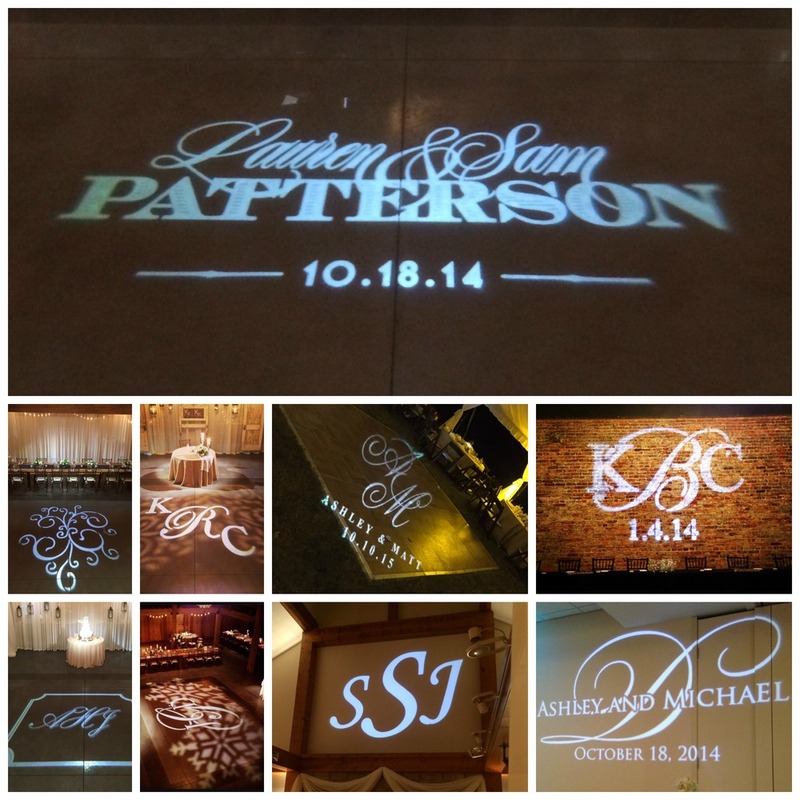 A huge wedding trend (you know you've seen it on Pinterest) and one detail that I had to have was the monogram gobo lighting that Snyder Entertainment offered. When we walked into our reception for the first time, my eyes went directly to our new, officially married monogram that included our initials and the date of our wedding. Side note- I've been to other weddings where other couples preferred something more simple like just a fancy design, a simple yet sophisticated "mr. + mrs.," and it was still really pretty and eye-catching. Snyder Entertainment helped us fully customize our monogram; providing a list of different colors + fonts in multiple template designs to choose from. 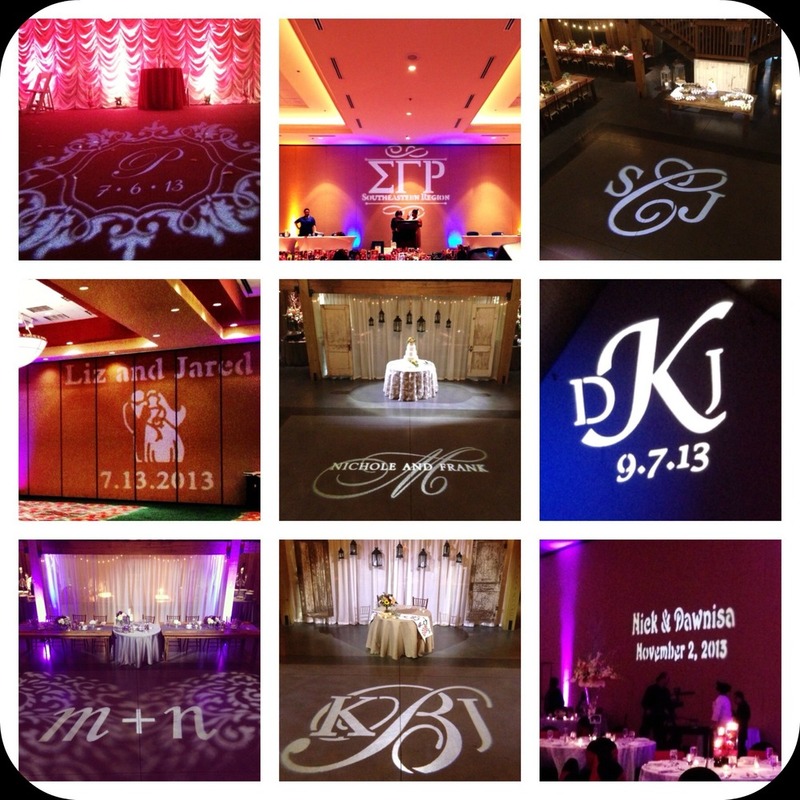 Selecting our gobo monogram design was an element of planning that my husband and I enjoyed deciding on together. I mean- if you don't include your new monogram on the dance floor or wall of the venue, did it even happen? Aside from showing off how perfectly both of our names looked together, including lighting helped to accent all of our "special dances" during the reception. Our first dance felt like it was our moment to shine as newlyweds, our love song playing, our monogram up on the wall behind us.. Just taking in the moment together, the two of us. Magical. Pinspot lighting also helped to capture special moments on the dance floor like my father/daughter dance, his mother/groom dance, the bouquet toss, garter toss, and a few other special song requests. We both knew that we wanted our reception to just be really fun. I love to dance, I've danced since I was 3 years old, I love listening to music, I can probably quote almost every song lyric ever. While we were planning with Snyder Entertainment we told Brian that we have different tastes in music. Like really different tastes. I love Beyonce, he loves Bluegrass and needless to say it makes for an interesting road trip together. But to Snyder Entertainment, that's no issue and they completely blew us away with the playlist that night. In addition to the music, throughout the night Brian changed the colors of our lights using his iPhone, and he synced the lights with the beats of the songs in our playlist. Imagine this: when the songs beat changed, the song ended and a new one began, so did the dance floor lights, vibe~ing and flowing perfectly together. I know that this kept our guests excited, and made it feel almost like we were all back in college, partying on the strip together. I loved it, my husband loved it, and you need it at your wedding, you will not be disappointed. Another great lighting feature, that I literally died for + Snyder provided, were market-street lighting. (It's so gorgeous that I can't even, and tons of pictures below feature it.) I had a friend who recently got married, and they set up a huge tent for their reception venue, and Snyder Entertainment hung the string lights + added draping along the top of it. Stop. Gasping. Beautiful. 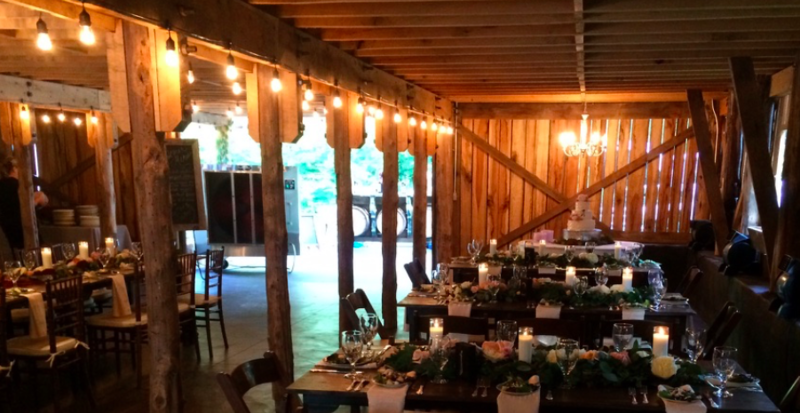 They're not just for outdoor events or tents either, these lights also look great in barn-style venues, and really any space you can imagine. I can assure you that these lights will be complimented even after your wedding day. Heck, just thinking about them now makes me want to buy some for my house..
Our wedding was a once-in-a-lifetime occasion for us, I wish I could relive it a million times over. Especially once we got back from the honeymoon and back to reality. 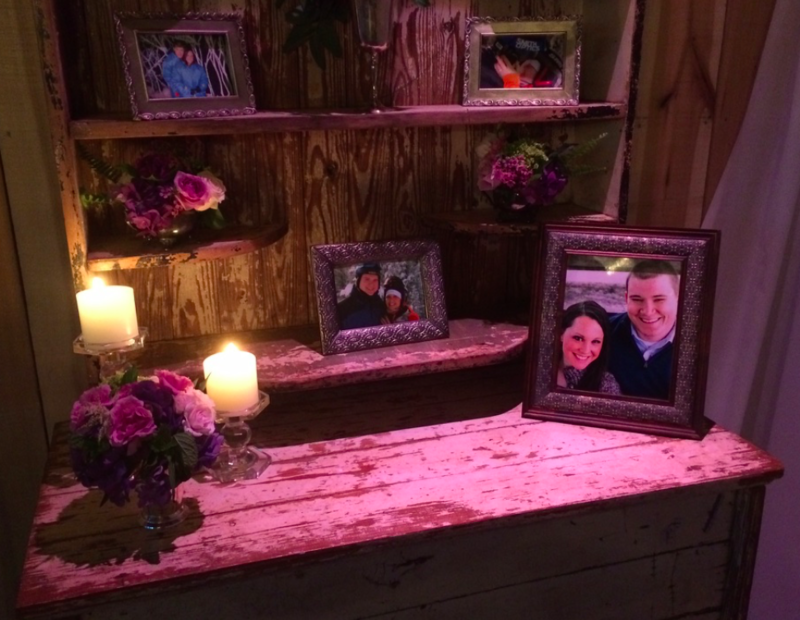 Please take my advice, as a recent bride, that lighting is important to your wedding ceremony and reception. 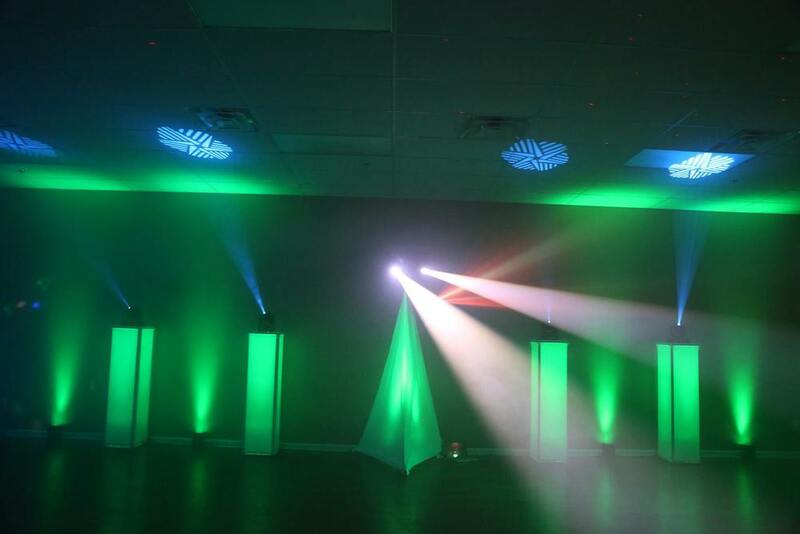 Up-lighting can transform your whole space, a monogram gobo light on the floor or wall can almost bring a tear to your eye, and dance floor lighting gets your guests dancing and singing along, and market-street lighting is a show stopper. 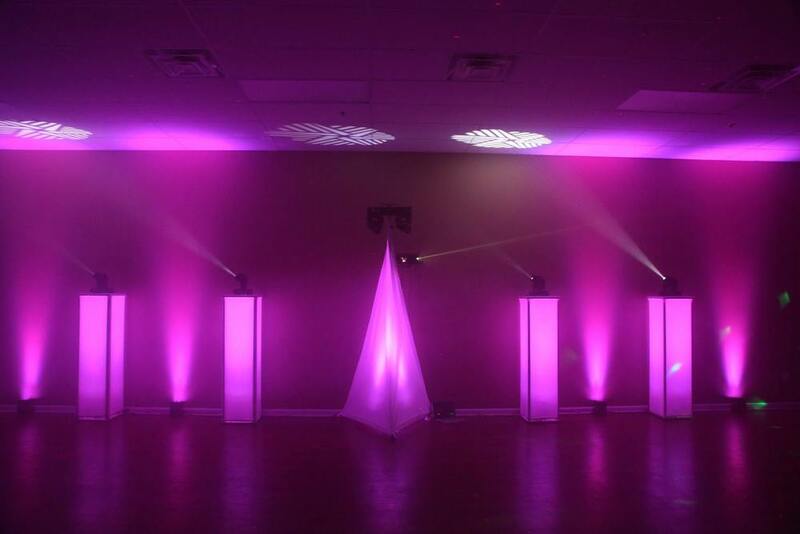 Snyder Entertainment offers so many different lighting options, they can customize their lighting packages unique only to your event. I really hope you don't put this detail on the back burner. Contact the team at Snyder today, they will literally make your wedding day shine as bright as the diamond on your left hand. Bang, bang.